No part of this primer may be copied, reproduced, stored in retrieval system, or transmitted in any form or by any means, electronic, mechanical, photocopying, recording, or otherwise, without explicit written permission from the authors. PSYCHOLOGY VOLUNTEERS ON BIKES The Psychology Volunteers on Bikes is an all-women environmental and cultural conservation group teeming with passion to participate in promoting a more sustainable way of life in Cebu. They advocate for a livable, sustainable and egalitarian (Haruhay, Malungtaron ug Maangayon) community by engaging in a consciousness change that is both regenerative and transformative, applying the ethics of care: caring for the people, the planet and the future. The group is part of the Education Committee of the Regional Center of Expertise in Education for Sustainable Development, a partner of the United Nations and the United Nations University Institute for Advanced Study in Sustainability (UNU-IAS). MARIA EDNA CAROLINA LEE is an Applied Clinical Psychologist, the co-founder of Psychology Volunteers on Bikes and a Tatak UP Awardee for her contribution to sustainability and environmental conservation. She is a Senior Lecturer in Environmental and Health Psychology at the University of the Philippines Cebu. She is a Permaculture Designer and activist as well as the Stewarding Officer of a Trio of Green Hotels – West Gorordo: An Essence and Permaculture Inspired Hotel, The Mayflower Inn: A Heritage and Permaculture Inspired Hotel and Elicon House: A Conservation and Permaculture Inspired Hotel. She is also the Museum Director of the Paulina Constancia Museum of Naïve Art as well as the Program Director of two Nature Sanctuaries: Katunggan Permaculture Adventure Farm (rural) and Kamagayan Green Zone (urban). She is a Psychology graduate from the University of the Philippines Cebu and obtained her Master’s Degrees in Applied Psychology at Fairfield University, CT, USA and Clinical Psychology at Spalding University, KY, USA. MONICA GLORIA MANLULUYO is a Psychology major at the University of the Philippines Cebu and is the External Relations Coordinator of the Psychology Volunteers on Bikes. She is currently the project lead of Kaon Sugbo: Food for Life – Food Sovereignty Campaign and was one of the Philippine Delegates to the 2014 International Student Conference on Environment and Sustainability in Shanghai, China. She works on the media and communications area of the group and is also the website administrator. DARYL MISHKA WATIN is a Psychology Graduate from the University of the Philippines Cebu and the co-founder of the Psychology Volunteers on Bikes. She is currently the project lead of the Tindak Sugbo: Bike for Life – Bike Awareness Campaign, which has already reached its second year. She has brought awareness of the bike movement to a regional level and was recently awarded as one of the Ten Outstanding Students of the Philippines – Region 7 for her active engagement in the bike revolution. She is a freelance graphic designer and also works as the creative director of the group, focusing on the graphic materials especially for the different campaigns of the group. There is a convergence of crises- climate change, extreme weather, natural disasters; people are isolated, sick, and dying… The need for immediate action is unprecedented. People lack exercise and communication. People are obese and malnourished. A sense of community and togetherness is lost, resulting in anguish, isolation and depression. Even in people’s daily commute, the use of cars have been creating barriers between people. Our planet is burning. Jeepneys, motorcycles, and cars on the road cause heavy traffic jams, burn fossil fuels and emit intoxicating and deadly fumes. This uncontrolled fossil fuel emmision leads to climate change. The rising of global temperature causes the melting of polar caps, unexpected weather conditions and more intense natural disasters, leading to devastation and massive loss of lives. Furthermore, vehicles depend on fossil fuels with volatile supply and pricing, thereby leading to oil price inflation and widespread transportation strikes. If the destruction of the Earth continues, the future will be bleak for everyone. In the face of this convergence of crises, THERE IS A NEED TO ACT NOW. The United Nations (UN) Intergovernmental Panel on Climate Change has issued a guide on how to offset the effects of climate change, including an input on governments to rely less on individual motor transport and instead promote walking, cycling and public transport. The solution to the convergence of crises is embarrassingly simple. Using a bike as a form of transportation is a way to help mitigate climate change and provides multiple avenues to uplift the human condition. According to an empirical research by Watin (2014) exploring the biking behavior in Cebu, many Cebuanos love biking and are willing to bike. However, they perceive the road to be unsafe due to the lack of bike lanes and infrastructure. The creation of these bike lanes, therefore, will provide a sense of safety and security – Cebuanos will then be more willing to ride the streets. Biking offers various biological, psychological, and social health benefits. The bike’s biological benefits include cardiorespiratory health, increased stamina and strength, and overall improved physical condition. The psychological benefits are the production of good mood-inducing hormones, better balance and focus, greater awareness of the environment, and mental health that allows for better functioning and better emotional disposition. The social benefits of biking include friendship, improved communication, a better sense of community, an increased bonding time with families, friends and loved ones, and better social relations. 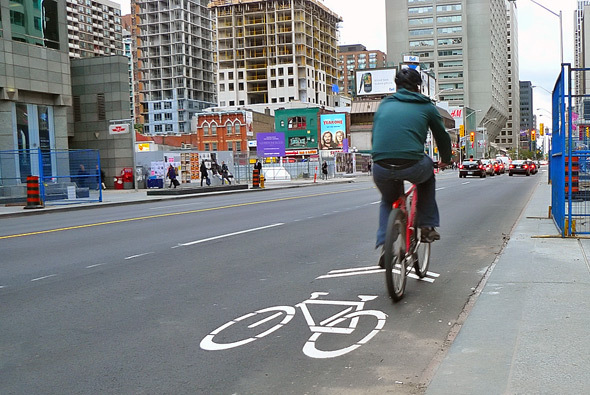 The creation of bike lanes will promote more biking, so all these bio-psycho-social health benefits simply become byproducts of getting to a destination. The bike has various positive implications on the economy. It is a human-powered vehicle (HPV), which is described as a vehicle that makes use of only human muscle power like foot/hand pedaling. In fact, a huge portion of small street-side businesses actually involves HPVs. These people are selling in stalls because it is cheaper and more mobile than renting a store in a building. It is then important that these entrepreneurs on bikes be given proper rights and treatment, without social and economic discrimination. By promoting bike entrepreneurship and various bike technologies, small entrepreneurs and bike innovators become empowered to work for themselves, their families, and the economy, and to continue creating new technologies. (1) it is energy-efficient and cheap because it makes use of human muscle power and does not need fuel, which is expensive; (2) it is economical, because it allows people to save the money they would have used for fare and other expenses related to daily commute; and (3) it is relatively faster than the car, allowing the rider to glide through traffic, avoid traffic jams, and help decongest traffic on the roads. One of the greatest causes of climate change is greenhouse gas emission, which is produced by humans burning fossil fuel for oil, gasoline, and energy. The bicycle as an alternative to vehicles using fossil fuel, therefore, is an effective tool for mitigating climate change. Since the bicycle does not make use of oil and gasoline, does not emit dangerous gases in the air, does not burn fossil fuel, reduces greenhouse gas emission, and is a non-pollutant, the unnecessary degradation of nonrenewable resources and pollution can be radically lessened. The bike is considered a sustainable, zero carbon transport simply because it does not make use of or produce carbon that pollutes the environment. Bikes only require the biker to pedal in order to move and therefore run on human power, a renewable source of energy that also runs on another renewable source, which is food and bodily nourishment. Due to a lesser need for metal and rubber compared to cars and no need for engines, the carbon footprint in making bicycles is also much less than making a car in an automobile factory. The call for bicycling is parallel with the call for a greener world. The creation of bike lanes increases environmental awareness among people by showing that the present infrastructure can be amended and the future infrastructure can be designed to be environment-friendly and created according to nature’s existing design. The presence of bicycling pushes for increase in biodiversity in urban areas, especially the security of more trees and plants for a cooler microclimate. It also calls for greater natural spaces in urban cities such as parks and gardens, which is one step to greening and improving the urban environment. Bike lanes, bike infrastructure, and pedestrian-friendly spaces are some of the indices of egalitarian societies. Many social rights groups have used the bike to push forward the social rights movement. Enrique Peñalosa, Mayor of Bogota, Colombia, who transformed his car-centric city into a bike- and people-centric community, states that “a bikeway is a symbol that shows that a citizen on a $30 bicycle is equally important as a citizen on a $30,000 car.” People riding cheap surplus bikes, therefore, have exactly the same rights as people riding million-peso cars. A very small percentage of the Philippine population owns cars while the rest do not. Taxpaying bikers, pedestrians, and daily commuters often overpay their share of the road because the minority of citizens who have cars are using majority of the road. The creation of bike lanes will be one step towards social equality in Cebu. Since the bicycle promotes the formation of an egalitarian community, it also promotes equality and equity between the sexes. The bicycle is an important tool for women empowerment since a lot of women actually participate in bicycling activities, and even now, an increasing number of them are using the bicycle for various reasons outside of just sports and hobbies. In fact, various feminist groups all over the world have used biking to push for women’s rights, because it promotes women’s independent mobility, among other things. A great percentage of the cycling population engages in biking for sports and recreation. Nowadays, a lot of Cebuanos have been biking because of involvement in bike races, marathons and triathlons. These sports and recreation activities require immense amounts of regular training to build stamina and speed. Bike lanes are useful because it allows these bikers to train regularly on the road and allow them to get to training destinations. Biking has been proven to induce feel-good hormones and increase creativity among people, due to increased oxygen in the brain brought about by physical exercise. People are able to express their creativity not just by clearing their minds and riding a bike, but also by customizing their own bikes, showing what they are capable of, and emphasizing that creativity can be expressed in and through many media. Biking also promotes the local bike culture and creates a culture of peace among bikers. It strengthens cultural identity and encourages cultural diversity among the many different bike groups. Biking as an alternative transport also allows for the bicycles to be used as one of the primary means for touring people around Cebu. With the use of the bicycle, people can be more aware of the island’s atmosphere and terrain. Most of the major tourist spots in the city are also well within bikeable distance. Since Metro Cebu is relatively flat, it is easy to navigate the city by bike. The creation of the bike lanes can then be used to promote the daily use of the bicycle for commute and the economically and ecologically positive effects of a bicycling touring program. All over the world, people are slowly becoming enlightened, empowered and engaged. They know their rights, they act on it, and they move as a community for the upliftment of the human condition. Bogota, Curitiba, India, Canada, London, America, China and Singapore among others have set up bike lanes, bike parking and other bike infrastructure to promote biking as a means of transport and a way of life. The Velib of Paris, Citibike of New York and the Velobleu of Australia are just some examples of bike share programs around the world. Shanghai and Singapore also practice bike tourism with routes specifically made for sightseers. Bike Share Programs allow people to rent a bike from a bike share station, ride it to their destination and park it in another station. It offers people the opportunity to make trips that are too long to walk, but too short to drive, especially in urban centers where parking is a problem. The rest of the world has acted, and it is high time for Cebu and the Philippines to do the same. Tindak Sugbo themed bike rides are part of the local bike awakening. The Tindak Sugbo community has grown in the past two years, and includes the following bike groups: Critical Mass Cebu, Psychology Volunteers on Bikes, Tindak Bisdak Folding Bikes Society, Cebu Vintage Bicycle Club, Bike and Talk Friendship Club, Cebu Fixed Gear, KSHAG, Cebu Low Riders Club, and Cebu Extreme Bikers’ Union, which are representations of different bike cultures in Cebu. Cebu’s own awakened and empowered bike community keeps growing bigger as more people understand the demand for a lifestyle change. The variety of local Cebuano bike culture encompasses biking for many different reasons. Thus it is imperative that bikers be respected the same way any person should be respected on the road. With the coming of the Tindak Sugbo Bike Lanes and respective bike infrastructure, the shift towards a more livable, sustainable and egalitarian (Haruhay, Malungtaron ug Maangayon) way of life through the use of the bike will be expedited and will become more widespread among Cebuanos. Cebuanos are reclaiming the roads and active citizens have made movements to engage the rest of the community. Through biking and the creation of bike lanes, Cebuanos can pedal towards a future that is livable, sustainable, and eqalitarian. A kind of future wherein motor vehicles do not take over the roads and sidewalks. People should now start biking to work, school and other destinations. It is high time that people bike for health, sustainability, livelihood, zero carbon transport, urban biodiversity, social equality, women empowerment, creativity, culture, sports, recreation, and tourism. The time for talk is over. As the chairman of the United Nations (UN) Intergovernmental Panel on Climate Change said“If we lose another decade, it becomes extremely costly to achieve climate stabilization.” Now is the finest moment for action. It’s time for bike lanes in Cebu. The TINDAK SUGBO: BIKE FOR LIFE, Pedaling for the People, Planet and Future is a campaign to enlighten, empower and engage the community towards a more sustainable, livable and egalitarian city by caring for the earth, for each other and for the future. The bike is our weapon of choice since it helps mitigate climate change and promotes health and social equality, which greatly improves the human condition. 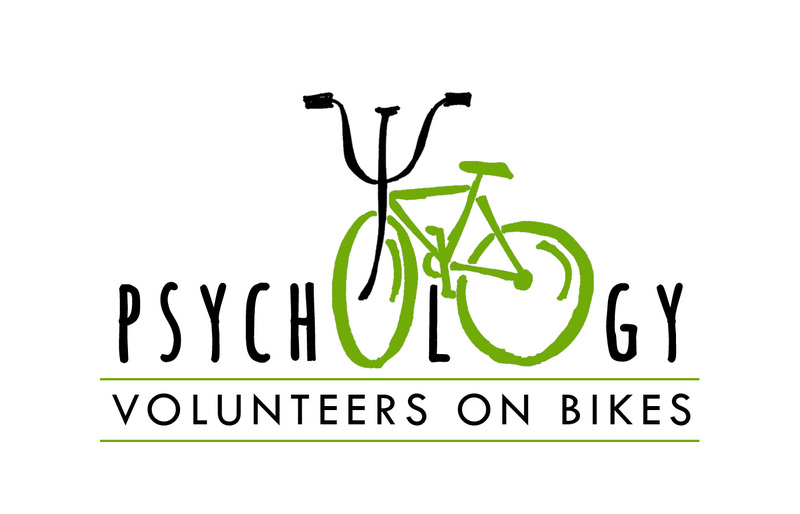 The campaign was birthed by the Psychology Volunteers on Bikes (PVOB) last April 2013 and it quickly grew into a BIKE & BIKE LANES AWARENESS CAMPAIGN. Part of the campaign was an exhibit last August 2013 at Ayala Center Cebu organized by PVOB together with R.O.X. that converged and celebrated local Cebuano bike culture. The Volunteers have also given talks about the bicycle to different universities and have spread the word through the radio and television. As of today, the second season of Tindak Sugbo just ended with the help of various volunteer bike riders, marshals, and mechanics, with a count of at least 150 up to 270+ every ride for the past ten weekends. With the above-mentioned convergence of crises and the population’s growing distress in terms of mental, emotional, social and physical problems, it is imperative for Cebu to have its own bike lanes. To make the transition from a car-centric to a bike-centric community, Cebu can start with the establishment of Sharrows or Shared Bicycle Lanes. These lanes are characterized by a simple bike icon painted on one side of the road where bicyclists should ride on. Motorists may also drive on the lane anytime a cyclist is not using it. An enlightened, empowered and engaged community is a vital part of a city. It is high time to stop the Earth’s destruction and begin the global mitigation of environmental issues. Everyone in the community should ensure a sustainable, livable and egalitarian future for all. The citizens have spoken their demands and it’s time for the local government to act on these demands. The approval of the bike lanes ordinance, therefore, becomes proof of the government’s sincerity in addressing the pressing issues of climate change and social inequality. IT’S TIME FOR BIKE LANES IN CEBU! Because of the growing population of bikers who will be using the upcoming bike lanes, an increase in the biking population would consequently call for increased safety measures of bikers and improved security of their bicycles. These can be addressed by the installation of bike racks and similar bike infrastructure. A bike rack may be freestanding or securely attached to the ground or some stationary object, and does not have to be overly complex as long as it serves its purpose as a usable parking space. KSHAG stands for “Kasama sa Hirap at Ginhawa” and was established last Dec. 27, 2010 at the Capitol Parish Church. The group promotes the passion for biking, good health, leisure and camaraderie between fellow bikers as well as civic action (particularly when it comes to the environment). We ride to advocate for environmental awareness, and to create bonds with each other. We bike to different parts of Cebu like Compostela, Catmon and Liloan to bond, have fun and enjoy each other’s company. BTFC or the Bike and Talk Friendship Club was created on July 4, 2011. We have scheduled rides every Tuesday and Friday night as well as Sunday morning. Some of our routes are long and vary from city rides and provincial rides. The short within the city rides fall on Tuesday and Friday and we give word at least three days before the ride, while the long ones are on Sundays. We inform the members at least a week ahead. Our most recent one was at Camotes. Other rides went as far as Oslob, Dumaguete, Bohol, Tabuelan and Barili. We are a non-profit bike group that advocates for camaraderie, unity and friendship in the club. Every group needs positivity, unity and stable relationships. This is what Bike and Talk Friendship Club promotes. Our group strives to create a feel in Cebu’s bike culture that is not only warm and welcoming but is also friendly and fun. The group is open to all ages and makes sure that everybody feels welcome and comfortable. We follow the Fixed Gear Culture from fashion to attitude, lifestyle, games, races, rides, parties, gatherings and music. In Cebu City, Philippines, we are followers to the trends, fads, fashions and the culture of single speeds, locked gear, flip-flops, fixie or fixed gear bikes. The old, local-folks also used to enjoy this simple bike we’ve all become familiar with….we called it “SAGIDAS” which means single-speed, lock-geared bike. There is only a handful in Cebu City who ride the modern form of Fixed Gear bikes and we also proudly call usselves “Sagidas Ridazz”. Cebu Fixed Gear prides itself on thinking outside the commercial box and pushing for a cleaner Cebu one stroke at a time. A clean and green city does not heavily benefit those who ride automobiles or drive other motorized vehicles. Bikers and pedestrians are the ones affected most by the state of the city’s environment. As such, as a group that relies on breathable air in order to fully enjoy our biking activities, we are for a better and more livable Cebu. Critical Mass Cebu is a biking group that promotes safety by advising riders to wear helmets and shoes (if possible) and to be aware of other riders as well as have front and bike lights and tools. We ride slow, in style, in fun and in a party mode every last Saturday of the month (with some exceptions) and usually start at Plaza Independencia. We are a biking group bringing awareness that bike transportation isn’t for low-class citizens but for everyone; neither funded nor sponsored by the government, local businesses or private entities. We do it so the people of Cebu will know that cyclists also have rights to use the streets and public places slowly, in style, in fun and in a party mode. Bikes are also not a status symbol, and that is stressed through our rides which are open to anyone from any sector. The Cebu Extreme Bikers Union ride the extreme way over cliffs and downhill slopes. Established in 1999, we are a SEC Registered bike group who uses “whole mountain” bikes. 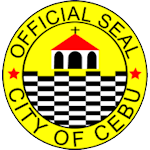 We advocate for a greener, cleaner and better environment which contributes to a breathable, livable and lovable Cebu. “We love the environment and the country side.” With this love that we have for the trails we follow, the group would like nothing more than a city with improved environmental conditions that would allow not just us but the other bikers as well a chance to enjoy our activities in our most comfortable zones. Lowriding was introduced in Cebu by Mark Encallado after he rode a lowrider bike in Manila last 2008. From just 4 members, the Cebu Lowriders Club now has more than 20 people in the club. PINASLOWRIDAZ, the mother chapter, is based in Manila. Our riding style is called ‘lowriding’ since it basically is for fashion and city biking. The interesting thing about the club is that we showcase fancy and luxury types of bikes in Cebu and literally ride it low. The bikes we ride are headturners and are one of a kind to the eyes of the people. Some are flashy and decorative while there are also those that look well-used. We scream ‘unique’ in all aspects of our biking – from bicycle, to gears, to decals, to style, to riders. 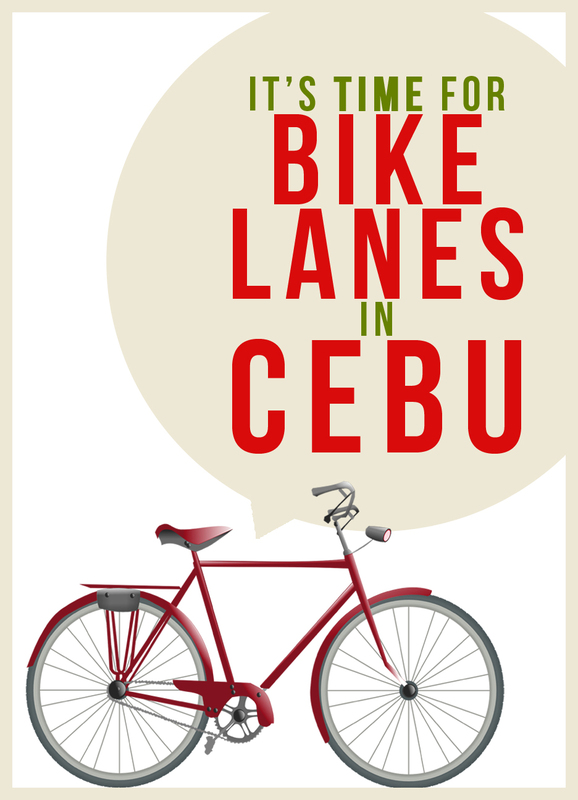 The group supports bike lanes and livability in Cebu. Since everyone is entitled to a city that caters to the health needs of the people, this group, through our fashion statements and extraordinary bike (and biking) styles careen through the road to show the importance of bike lanes and sustainable living. We believe that bike enthusiasts deserve equal rights and access to the road. Drivers are not the only ones who deserve proper access and use to our public roads and highways. Pedestrians and cyclists are also entitled to walk and bike safely without fear of being sideswiped by those who run on the road like we own it. Cebu Vintage Bicycle Club started as a one-man-club-bike-to-work in the mid-year of 2007 careening the heartbeat of the corridors of the historic downtown Colon Street to the uptown area of Mango Avenue in Cebu City. Our mission is to make Cebu a general bicycling destination and part of the worldwide bicycle awareness community and movement. We are a small community of Bicycle advocates, collectors, enthusiast, environmentalist, & hobbyists right here in the heartbeat of Cebu who run a non-profit shop space from our makeshift workshop. Tindak Bisdak is a folding bike group who banded together for the same reason as MTBers and road bikers – for the love of biking. Founded by Jay Garganera in February of 2011, Jay is a folding bike collector and entrepreneur. Our weekly Friday night ride is a slow ride around the city which begins and ends at J’s Folding Bikes at Barangay Tinago. The group’s members ride together for camaraderie, fun, friendship and family bonding and we are open to all folding bikers of all ages, shapes, fitness, and skill level. The group gets together every Friday night and the bike ride takes off at 8:30 pm. After the ride chicken pospas or noodles are served to all the bikers in a fun salo-salo. We also have a mid-week fast folding bike ride sometime between Monday and Wednesday depending on the weather. The family that bikes together, stays together. Waldas Racing is composed of the Escuadro and Leyson families and their friends who use unicycles, pennyfarthing, recumbent and vintage bicycles. They ride together on their unique yellow bikes and promote creativity and family bonding. Cebu is known to be the home of some of the finest Ukulele crafters in the world, and “Cebu Ukulele”, the founder of the Bikelele program, uses this instrument to promote biking and music in the city. Their mission is to promote the recognition of this musical instrument in Cebu. Bikelele is a bike group that rides on the streets of Cebu bringing their ukuleles. They aim to get to know more players, bikers, and friends; collaborate with others using music; discover new things; and promote and share information about the ukulele. The Sitio Calero Youth Bike Ride Enthusiasts (SCYBRE) are a group of kids from Sitio Calero in Brgy. Tinago who come together for companionship, camaraderie, and a lot of fun. They are mentored by their Kuya Chamy Comillas, who bring them to workshops and bike rides, show them around Cebu, and teach them life and school skills. The TINDAK SUGBO THEMED RIDES started out as a summer fun ride. It then radically evolved into the conceptualization of a weekly bike ride promoting the Cebuano culture — Tindak Sugbo or Bike Cebu, Season 1. During the rides, the bikers saw so many problems in the city that could easily be solved by embarrassingly simple solutions, such as the bicycle. 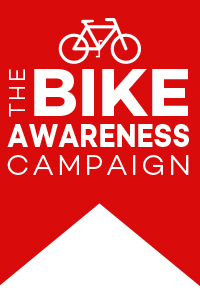 The rides further evolved into an entire bike awareness campaign. Over the course of the past year, various biking activities and educative presentations, talks, discussions, Tindak Sugbo jingles and videos included in the campaign have managed to encourage existing and new riders to come and join the Tindak Sugbo community and ultimately join the campaign for a sustainable and egalitarian Cebu. This progress paved the way for a successful Tindak Sugbo Season 2 this year, with riders’ numbers more than tripling last year’s number of participants. The bike awareness campaign and the themed rides also became an educational campaign for the proposed Tindak Sugbo Shared Priority Bike Lanes, in support of the bike lane ordinance proposed by Cebu City Councilor Nida Cabrera. 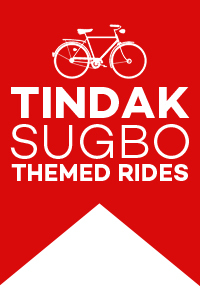 You can find the different BIKE ROUTES and maps of Tindak Sugbo Season 1, last year’s ten (10) themed rides, here and Tindak Sugbo Season 2, this year’s ten (10) themed rides, here. It is noticeable in the different routes, both from last year and this year, that there are streets the riders passed through many times – this means that these streets are actually tested multiple times by bikers and can then be considered bikeable thoroughfares. These routes can be made as reference in the mapping of the bike lanes in the city.